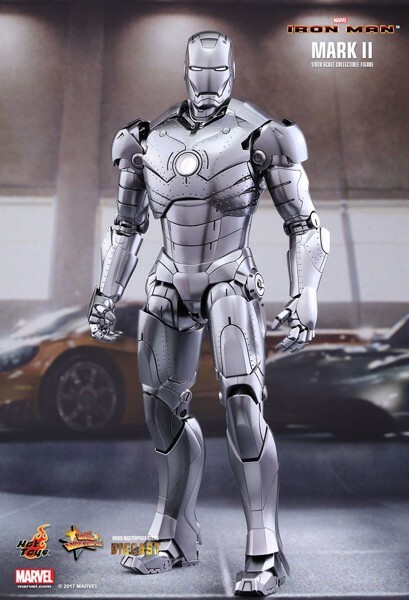 Fans beloved Iron Man Mark II has been a mind-blowing armor as it’s the blueprint for later Iron Man designs. 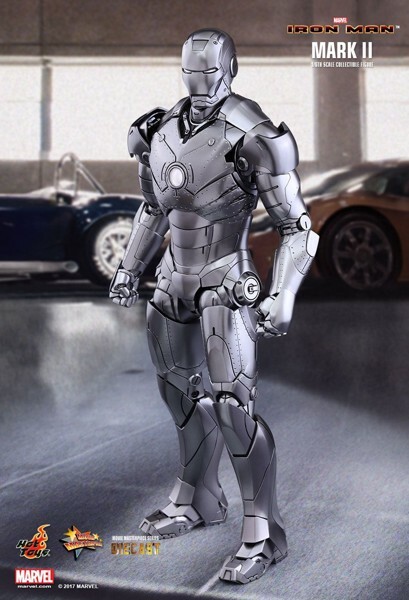 As the successor of Mark I, Mark II went through massive upgrades, mostly noticeable by its appearance. 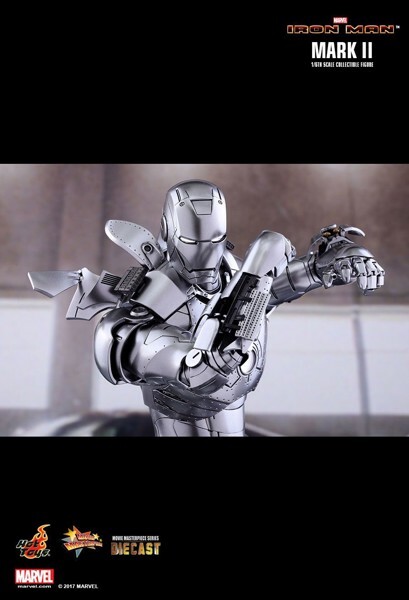 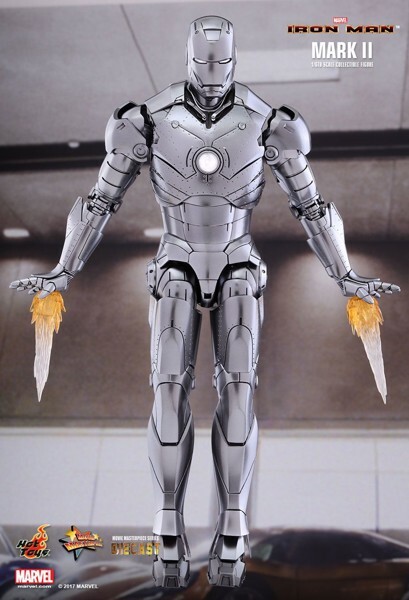 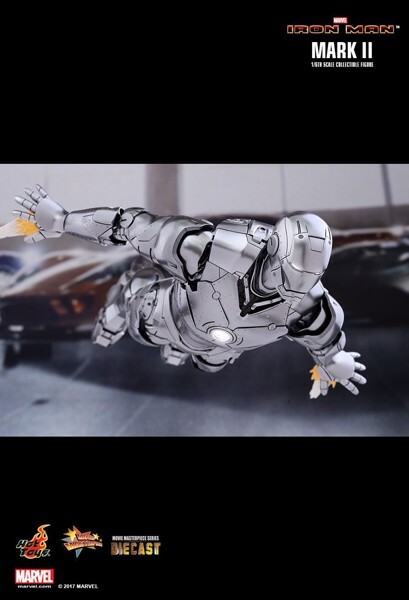 It’s the only Iron Man armor with pure-silver plates and also the first suit with a streamline and sleek design. 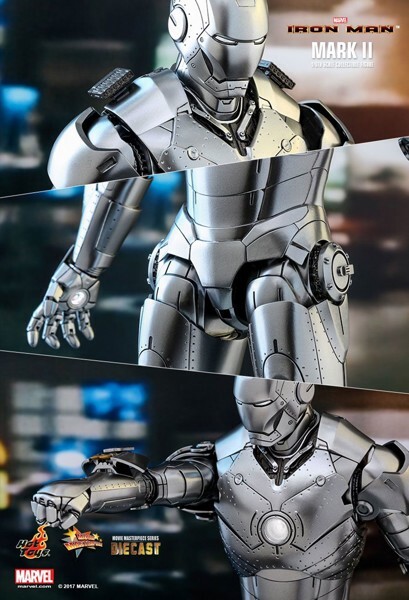 Today, Hot Toys is delighted to unveil the 1/6th scale Mark II collectible figure as the latest addition to our MMS Diecast Series! 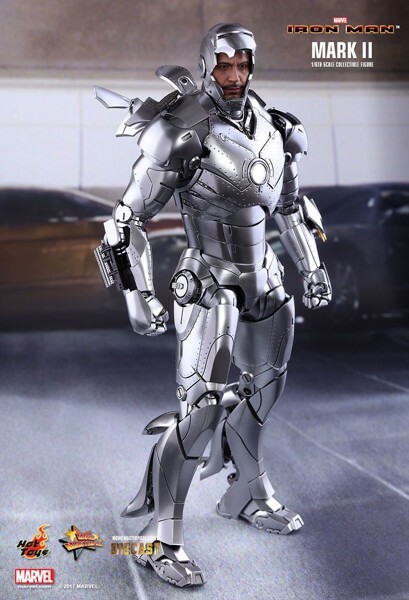 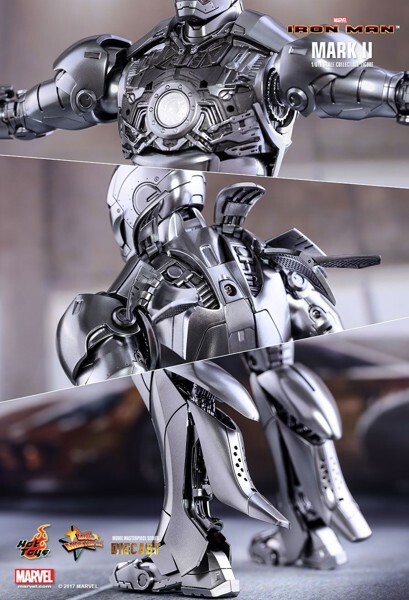 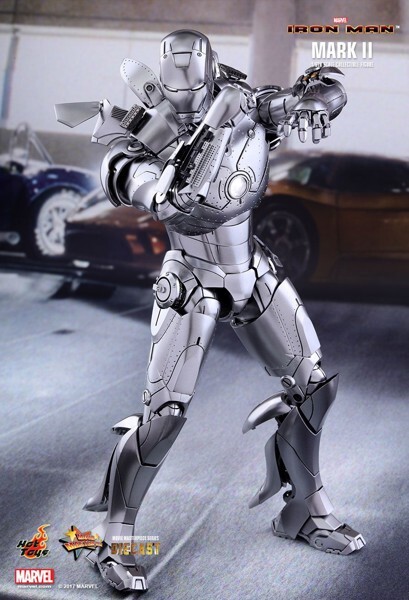 Made with diecast materials, the 1/6th scale Mark II is beautifully designed in reference to its appearance in Iron Man featuring a helmeted head sculpt with authentic likeness of Robert Downey Jr. as Tony Stark in the movie, an interchangeable helmeted head with LED light-up eyes, an distinctive streamlined design with pure silver-colored armor, interchangeable armor parts, and a LED light-up figure stand. 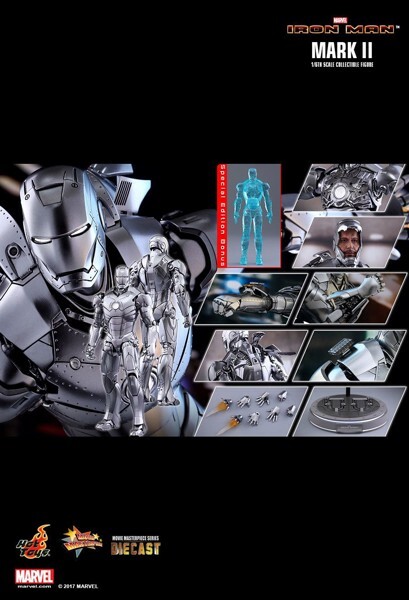 Moreover, a Special Edition will be available for selected markets which will include an additional holographic Iron Man Mark III miniature collectible!